We base NLP reframing on the idea that all meaning depends on your point of view. To reframe something is to change its meaning by putting it in a different setting, context or frame. For instance, a nasty experience can seem funny when put in a long- term frame. It is one of the most useful NLP techniques. Bandler and Grinder developed the six-step reframe technique from their study of Milton Erickson (ideomotor signals) and Virginia Satir’s work with parts. They included it in their book Frogs into Princes. Establish communication with the part creating the unwanted behavior or response. Ask if it would be willing to communicate consciously. This communication might be a sensation somewhere in their/your body, a picture, voice or sound. When you get a signal, first thank the part for responding. When we have fought against particular behaviors, they can feel alienated, so it’s useful to be polite. Have you ever tried to be helpful and the person misunderstood your intention and got annoyed? How does it make you feel? Are you likely to help a second time? Our unconscious parts feel the same. Here they are doing the best they can to achieve something for you. Is there thanks or even appreciation? We might have a long history of fighting and shaming this response. If a neighbor repeatedly told you what a worthless lazy bum you were for not mowing your lawn more often, would it inspire you to mow? I have no idea why many of us think shaming works to change behavior. It doesn’t work for me. Assuming that this aspect of self has a positive intention can create rapport and therefore makes it more willing to cooperate. Have the part evaluate these new choices. Are they acceptable? Will they be as good as or better than the previous behavior? It needs to be willing to try them out for the next month or longer if appropriate. The key here is negotiation. If the part with the unwanted behavior is not happy with these alternatives, it is unlikely to give them a go. If you have ever agreed to something because you were bullied into it, you’ll know how important willing commitment is. If the alternatives are not acceptable, go back to step 4 for better choices. Check for objections with other parts with an ecology check and future pacing. When we change behaviors, we can affect other people and aspects of ourselves. Even changes we think are fabulous have unintended consequences. We get our new car, but our camping gear doesn’t fit in the boot. If there are objections, put them through the same process from step 2 what is the positive intention etc.? Mind lines connect language to things and events that carry meaning. There are seven basic mind-shifting directions and 26 mind line patterns, which reframe reality. Robert Dilts identified 18 key reframing patterns in Richard Bandler (learned from Virginia Satir, Fritz Perls, Milton Ericksonand Frank Farrelly), and called them “Sleight of Mouth” patterns. Michael Hall’s mind lines model sorts and extend these patterns into seven categories based on his Meta states model. Language powerfully affects mind and emotional states. Although words are almost totally powerless to change our external reality, they have almost complete power over our internal reality. A tiny idea can start a revolution or trigger depression. We can change our perceived reality by using the process of framing and reframing. Nothing inherently means anything; it is only our associations. Content — inside the box. Details of the external behavior and the internal states. How else can I view this? What other perspectives could I use? What are some viewpoints others might use? Context — outside the box. Setting a higher frame on the belief or ideas i.e. Meta stating. Out framing the external behavior or the internal state with some other concept, ideal meaning. In what context would this behavior be useful? The one who sets the frame governs the experience. Someone or some idea always sets the frame. Awareness of the meaning process gives us control over it. Beliefs often relate to “shoulds”. They are our assumptions about causation and meaning. They confirm our models of the world. 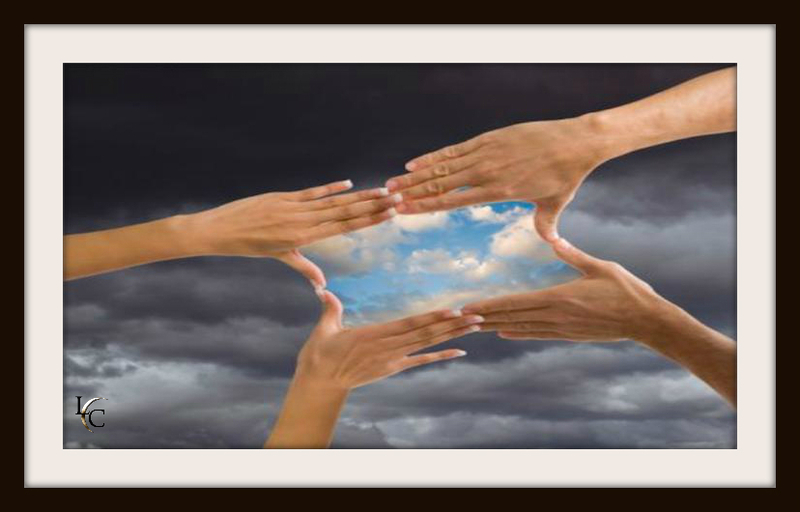 Beliefs become organizing frames of reference that allow us to focus on what’s important. They are the validated thoughts that encode our sense of reality that get manifested in behavior. Thoughts of confirmation and validation about these representations. You can think all kinds of things without believing them. You cannot change a belief merely by changing the submodalities, it needs conviction. Beliefs feel real and act as commands to the nervous system. The “yes” validates the thoughts. Make it more specific. We create beliefs by generalizing, deleting and distorting. They depend on vagueness. We can use the Meta model to test the reality of the belief or meaning. Sequence – examine the logic and structure. If the logic doesn’t hold, it messes up the program. We can say this means that, or this causes that. Here we are changing the meaning inside the box by saying that an event, experience, person or idea is not one thing but another. We call them new names, we redefine them, and we substitute one term for another. Here we are reversing meaning in order to create fresh meanings. How is the whole thing the opposite of what you thought? When a belief becomes a frame of reference, we move through life searching for evidence for it. You can find evidence to support just about anything. here we are reality-testing beliefs by examining at what times or places it doesn’t occur. “I lack energy”. To do what? At what times, according to what standards? Here we are learning to play with the concept of time, consequences, intentions and causation. Invite the person to find more effective ways to accomplish the positive intention. By guessing the positive intent of people’s behavior, it shifts attention from negative behaviors. Changing our time frames alter meaning. What will the behavior could cause over time? Context reframing is Meta stating. In what situation is the behavior useful? Model of the world framing is the ability to hold our maps more tentatively. Notice what happens when you say “this seems like my X”. Or how long have you thought this car belonged to you? Our internal representations of things are not the things. What if everyone did this all the time? This pattern pushes the belief to its limits. We typically expressed beliefs in absolute terms. “Allness” words don’t make room for exceptions. We typically use one particular style to frame our world. We can use Meta Model questions to challenge this framing. What would happen if you did? What stops you? What principle would empower this person? What idea will make this belief more empowering? The unreality frame uses words such as seems, appears, thinks, and looks like. These words imply doubt and loosen up our beliefs. The self and other frame emphasizes the word “you”. It suggests that your model of the world is different from my model of the world. So for you it seems that being late means I don’t care? In English we ask a question with a rising inflection at the end of a sentence. A command has falling inflection. “We are going to breakfast?” Is different from “we are going to breakfast”. You can embed a question or command in a sentence so it is received unconsciously. The realization frame acknowledges the changes we make. We often don’t realize the difference our efforts make, we discount our achievements and progress. How does it feel to realize this? Ecology framing is this belief useful, empowering, limiting, balancing, enhancing? Does this way of thinking serve you? Involves conveying a message in terms of something else. Telling a story that has a similar structure to the problem. Stories are less threatening than advice. A” real” word has to function as a symbol of something. Failure is some vague thing to avoid. You can fail but not experience the nominalized entity of failure. Is it a legitimate concept you want in your world? Command negation – do not X. You first have to represent it and then make it go away. Don’t think of pink elephants dancing in the ocean. You can also frame a thing as invisible by creating and setting a negation frame. This can loosen up beliefs. What would it be like if? If it were possible, what would you be thinking, feeling, doing? We often theorize, analyze, diagnose and talk but don’t decide and take action to do something. Deciding literally means cutting one thing from another. When we say “yes” to something we are saying no to another, we cut off our options. We cut away what is important from what is unimportant. A clear-cut decision empowers us to act on our decisions. We can also stand back to look at what decisions are currently driving our actions. When you offer someone a mind line, you are playing with meanings. You therefore need sufficient rapport, pacing and trust and respect. What are the benefits of the belief? What difficulties and limitations has it created? Is the difficulty simple or complex? A phobia is a simple anchored response. Low self-esteem is complex with associations, levels and meanings. Problem states can undermine and limit our effectiveness. Make sure you reframe your own stuff.